Spc. 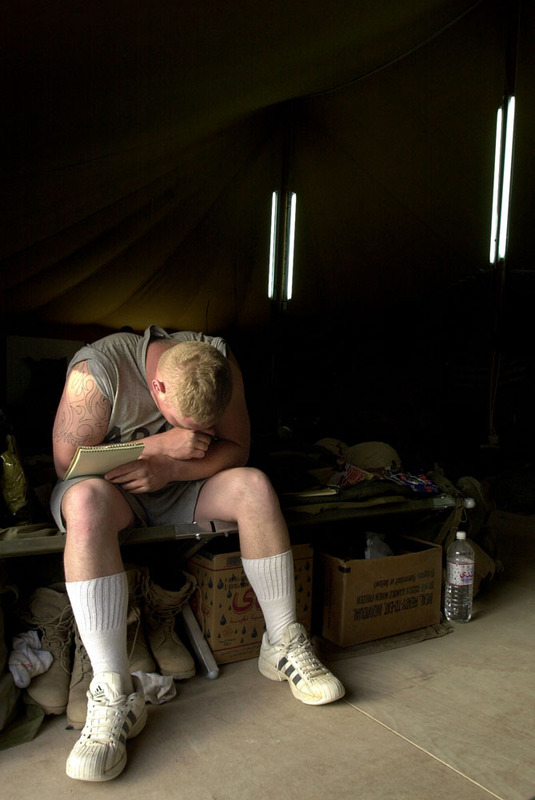 Brad Hall pauses to find words as he writes a letter home to his fiancee from Kuwait. "I've been waiting for her third letter" adding "it must be stuck somewhere."